Everyone has heard of Wyatt Earp, Doc Holliday, and the James-Younger Gang. But most know very little about the man whose story intersects with them all. Cousin to both the Younger and James brothers, and for a time the chief antagonist of Wyatt Earp, this other man has been somewhat overshadowed in history. But those that have heard of Johnny Ringo know him as the fascinating figure that he was. He was a gentleman gunman who could spout Shakespeare, and who many writers romanticized as one of the deadliest gunfighters of the Old West. And to this day, only adding to the mystique of Johnny Ringo, is the fact that mystery surrounds his own death — a death as legendary as his mythic life. Johnny Ringo was born on May 3, 1850 to Martin and Mary Peters Ringo in Washington, Ind. He was the first child of a large family of five children and was related to both the infamous Younger and James brothers. Still, the family was resilient, like most frontier folk, and made it to San Jose after a year-long stay at the Youngers’ home. But Johnny Ringo’s adolescent years between 1864 and 1870 are not well documented, though there is an unsubstantiated claim that he was a drunkard and juvenile delinquent that left his family and San Jose itself in 1869. However, the San Jose Directory and Federal California Census, both of 1870, place him in San Jose and working as a farmer. Additionally, his sisters later reported that he left San Jose as part of a harvesting team sometime between 1870 and early 1871. According to some accounts, Ringo’s delinquency came later when he was charged for discharging his firearm in a public square in Burnet, Texas. 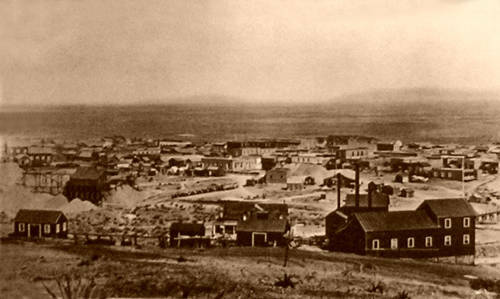 Then came the infamous Hoodoo War and the outlaw legend of Johnny Ringo only grew from there. In Sept. 1875, Johnny Ringo got caught up in the Hoodoo War, a blood feud that had started over cattle ownership between Germans living in Mason County, Texas and American-born residents of neighboring counties. Ringo’s involvement was not over cattle but was instead the direct result of the slaying of Moses Baird and the serious wounding of George Gladden, both whom were his close friends and had themselves gotten caught up in the bloodshed. Baird and Gladden had been tricked by local gambler James Cheyney into riding to Mason, only to be ambushed in an attack orchestrated by Mason County Sheriff John Clark. 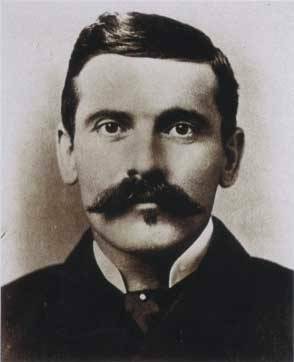 On Sept. 25, Johnny Ringo joined another seven men to avenge Baird’s death. When the men rode into Mason, Ringo and a man named Bill Williams separated from the party and headed for Cheyney’s home. There, they shot the gambler dead without warning. Ringo and Williams then made for the home of another alleged collaborator in the ambush named Dave Doole. When they arrived, they shouted for Doole to come outside, but when he came to his front door armed with a gun, which scared Ringo and Williams off. More killing followed four days later when other members of the party cut down three men. However, arrest warrants were not issued against Ringo for killing Cheyney. Instead, he was arrested twice in December for other charges. The first arrest was for disturbing the peace in April when he fired his pistol in the middle of Burnet. But he was soon released after the $150 bond was posted. The second charge was far more serious for Johnny Ringo. He and former Texas Ranger Scott Cooley were imprisoned for threatening to kill the Burnet County Sheriff and his deputy. Authorities were worried that their friends might try to bust them loose from prison and thus had them transferred to a prison in Austin. But Ringo’s name was misspelled as “Ringgold” in the newspapers, which accounts for confusion over the outlaw’s identity since. The spelling may have arisen from translations in German newspapers as official records confirm his name was indeed John Ringo. Either way, the Hoodoo War was now over, though tensions remained in Mason County for a few more years. It wasn’t long before Ringo and Cooley were moved once again, first back to Burnet before being granted their request to stand trial in Lampasas County. Although they were both convicted and imprisoned for making threats against law enforcement, they appealed the sentence. But they did not want to wait until 1877 to have their case heard. Luckily, their cohorts agreed and broke them out of prison in May 1876. Cooley, however, reportedly died a month later. Despite the media painting Ringo as a notorious outlaw on the run, he only evaded capture for a few months before once again being sent to prison in Austin. Surprisingly, his earlier appeal still went through, and the charges were reversed. However, they were soon overshadowed by a charge of murder. His slaying of Cheyney had finally caught up with him — but this also came to naught when no witnesses were willing to testify against him. Thus Johnny Ringo was released in May 1978, settling in Loyal Valley, Mason County a short time after. In November, Ringo went from outlaw to being offered a position as constable for Precinct #4 at Loyal Valley (though it is not known for certain if he took up the position). Throughout 1879 and 1880, Johnny Ringo continued causing mayhem wherever he went, including shooting one man for wanting to drink beer instead of whiskey and holding a poker game at gunpoint in order to pocket the $500 held by the players. In 1881, he was brought to Tombstone, Ariz. to stand trial for the poker game incident but was more concerned about a rumor that he was involved in a recent stage robbery. 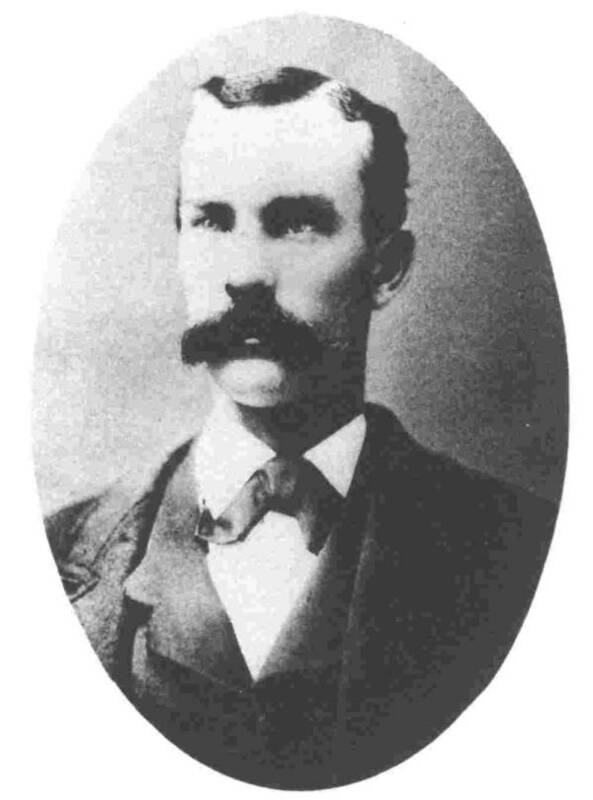 He blamed legendary local lawmen Wyatt Earp and his gunfighting friend Doc Holliday for the rumor and all three men had a showdown on the streets of Tombstone. As tensions increased, the men started reaching for their sidearms, when a constable grabbed Ringo from behind and defused the conflict. Nevertheless, the altercation made Johnny Ringo take a personal interest in the longstanding feud between the Earps and the infamous Clanton outlaws. While spending time in jail in 1882, he learned that Earp and his posse were planning to arrest the Clantons in Charleston, so Ringo organized for his bond to be quickly processed and on release immediately set off for Charleston to warn the Clantons. But Earp’s brother James saw Ringo leave Tombstone and was aware of his plan. He wrote an affidavit calling Ringo an “escaped prisoner” intending to thwart the arrest of a U.S. Marshal. Because of the affidavit, a second posse led by J. H. Jackson pursued Ringo. However, they were intercepted by Ike Clanton, and Ringo was informed of the warrant for his arrest. Johnny Ringo then went back to Tombstone where he was placed on trial. But once again witnesses refused to testify, and Ringo was let free. From there, the situation in Tombstone only grew worse. 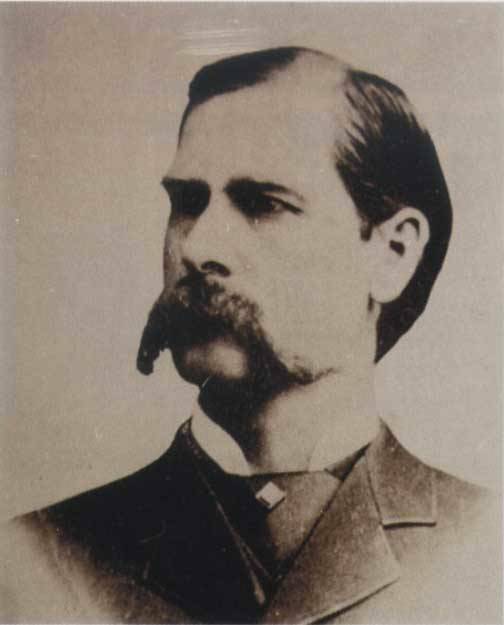 Morgan Earp was shot dead by an unknown assailant in March 1882. Many believed Ringo was the culprit, but records from the time dispute this. Furthermore, testimony in The Tombstone Epitaph stated Ringo wanted no more part in the feud (Ringo’s time in Tombstone was dramatized in the 1993 movie Tombstone — see below). A meeting between Doc Holliday and Johnny Ringo as depicted in Tombstone. Meanwhile, Earp and his posse had more troubles when they were accused of killing outlaw Frank Stilwell and thus fled Tombstone. The next day, Sheriff John Behan gathered men, which included Ringo, to capture the Earp posse. By then, Earp and his party had killed a Mexican named Florentino Cruz, who some believe was Indian Charlie, one of the killers responsible for Morgan Earp’s death. Back in Tombstone, it was reported that Earp had shot dead Curly Bill Brocius in the Whetstone Mountains. And because Brocius was the most notorious outlaw in the area, his death overshadowed Earp’s killing of Stilwell and Cruz. In any event, in April 1882, Earp and his men fled Arizona. A month later, Johnny Ringo himself also left Tombstone, exonerated from all indictments amid the back-and-forth swarm of lawmen and criminals in the area. But despite his good fortune, Johnny Ringo was found dead just two months later. 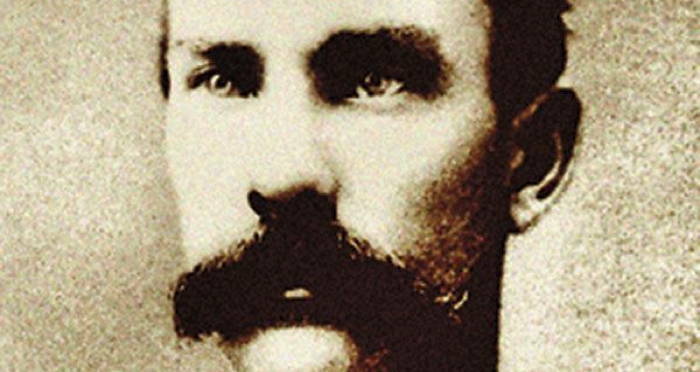 Much speculation surrounds the July 13, 1882 death of Johnny Ringo. Many believe he committed suicide. The facts seem to support it, but many people point to some inconsistencies in the way the body was found that may suggest foul play. Sightings in Tombstone and the nearby town of Galeyville state that Ringo looked depressed and was drinking heavily before his death. The last time he was seen was around July 11, which is roughly when he left Galeyville. Three days later he was discovered with his back to a tree, clutching a .45 caliber Colt in his right hand, apparently dead from a self-inflicted gunshot wound. It seemed pretty cut and dry, but some people both at the time and in the years since have looked at the evidence and believe instead that Johnny Ringo was murdered. Speculation revolves around the number of cartridges found in his gun, possible lack of powder burns on his hands (suggesting he may not have fired a gun himself), the position of his hat on his head, and admissions from his contemporaries, including Wyatt Earp, to his murder. But all these lines of inquiry are flimsy at best. Jack Burrows, the author of the 1987 biography John Ringo: The Gunfighter Who Never Was and David Johnson in his book John Ringo: King of the Cowboys have weighed the evidence and concluded that Johnny Ringo most likely committed suicide — an unusual end for a legendary outlaw of the Old West. After this look at Johnny Ringo, read up on Billy the Kid as well as some more of the most fascinating figures who ever roamed the Wild West.